FOOD & FIRE is a restaurant and bar with two locations—one located in Johnson City, NY and a new location opening in the Scranton, PA area on Montage Mountain (Moosic). Guests can expect an upscale-but-comfortable experience in a stylish, fun environment. The menu reflects a pronounced focus on authentic, slow-cooked BBQ offerings, including smoked brisket, pulled pork, ribs, chicken, and turkey, and traditional-yet-innovative side dishes. FOOD & FIRE also features a rotating array of American-style food favorites, including creative appetizers, hand-crafted burgers and sandwiches, salads and soups, and steaks/chops, chicken, seafood, and vegetarian entrees. 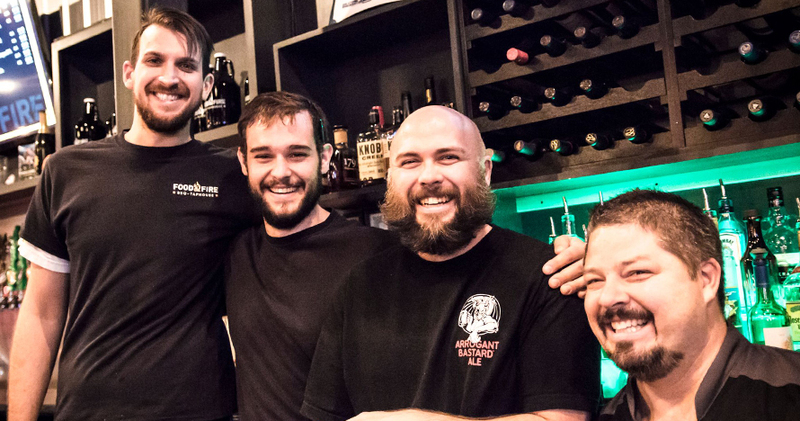 Although the bar offers a thoughtful wine list and selected liquors and cocktails, the FOOD & FIRE bar/lounge experience is built around featuring an extensive and diverse craft beer list, including 40 beers on tap (50 in the new Scranton location). FOOD & FIRE is always looking for enthusiastic and qualified new employees. We are currently accepting applications for all positions for the Moosic, PA store, which is expected to open its doors in May 2018. Please click on the appropriate link to submit an application. Thank you for your interest in joining the FOOD & FIRE team! Join the Club to receive special offers, event invitations & updates.